Fifty percent of the damage costs were caused by just 147 facilities, or 1 % of the 14 325 facilities assessed over the period 2008 to 2012. 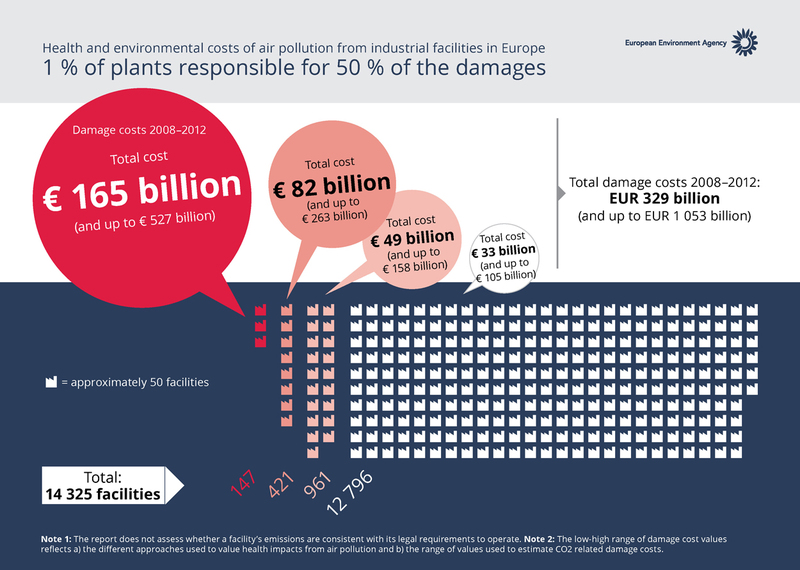 Three quarters of the total damage costs were caused by the emissions of 568 facilities — 4 % of the total number. Eight of the top 30 facilities are located in Germany; six are in Poland; four are in Romania; three are in Bulgaria and the United Kingdom, two are located in Greece; and the Czech Republic, Estonia, Italy and Slovakia all have one each.